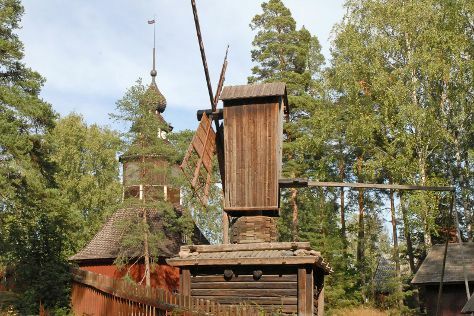 Eschew the tourist crowds and head to Seurasaari Island and Open-Air Museum and Porvoo Old Town. Your inner history buff will appreciate Jokioinen Museum Railway and Raseborg Castle. Change things up with these side-trips from Helsinki: Ainola - The Home of Aino and Jean Sibelius (in Jarvenpaa), Heureka, the Finnish Science Centre (in Vantaa) and Loviisan kirkko (in Loviisa). Pack the 21st (Tue) with family-friendly diversions at Linnanmaki Amusement Park. Spend the 25th (Sat) exploring nature at Ekenas Archipelago National Park. There's still lots to do: test your team's savvy at popular escape rooms, browse the eclectic array of goods at Hakaniemi Market, contemplate the long history of Mannerheim Museum, and take in the pleasant sights at Ankkapurha Culture Park. If you are flying in from Canada, the closest major airport is Helsinki Vantaa Airport. May in Helsinki sees daily highs of 18°C and lows of 7°C at night. Finish up your sightseeing early on the 28th (Tue) so you can travel back home.